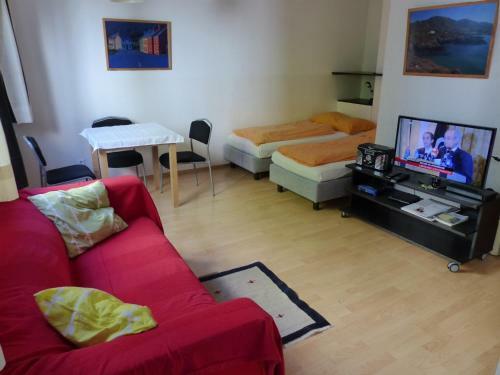 The apartment was a short walk away from the train station and the metro and had many stores and restaurants close by. There is a great laundromat with washers and dryers just about 300 ft away. The apartment had lots of windows and plenty of space. It was perfect for us. Think of everything that needs a vacation. fast Internet. 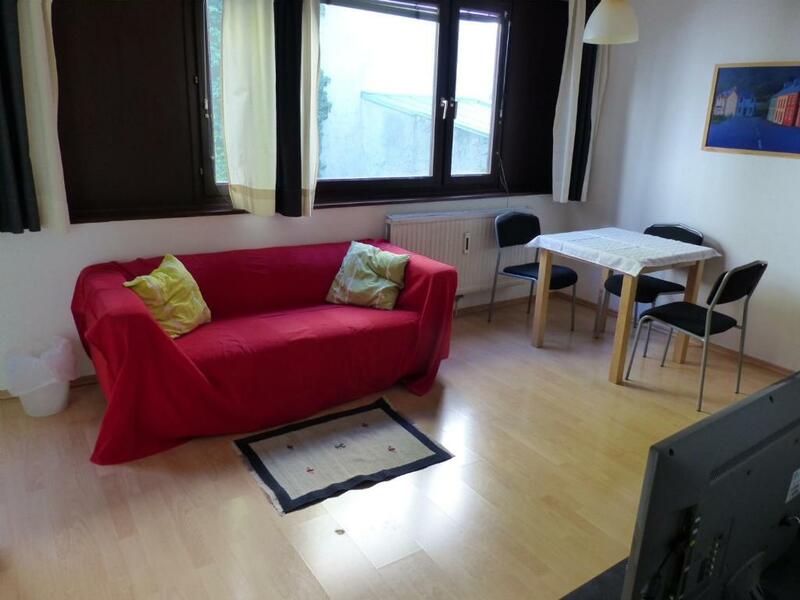 Wonderful apartment, close to the metro station and a stop from the center. 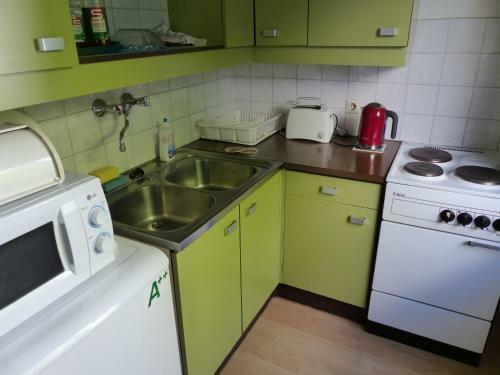 Quiet place, clean and well organized for longer stay. Comfortable beds and pillows. Amazing host, kind and careful, gave us possibilities for earlier check-in and later check-out. We definitely recommend this place. The location was very good, the house had everything that we could want, from iron to hair dryer to oil and coffee. The shower was excellent very hot water with a lot of pressure. It was quite and clean. What you see in the photos it is exactly what you get. Fully equipped kitchen, location between the tram and the underground, stall shower, comfortable furniture. There is a market and laundromat just around the corner (different corners!). There is the RJ train between the airport and one underground station from the station local to the apartment. Thus it is easy, efficient and inexpensive to travel between the apartment and the airport - but one needs to know how to do it. Very convenient to the center of Vienna, either by Metro, or walking. We were there 6 nights, and it was very quiet in the building, though there might be a park or playground nearby, judging by the noise. Not a problem at all, though. 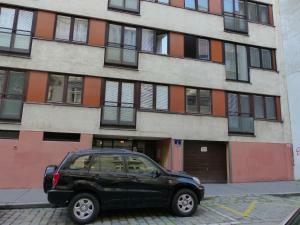 It is a good price for an apartment so near the city center. If you are on a tight budget, and can sleep on a soft mattress, you will be okay here. La ubicación es excelente. A dos minutos del metro y del supermercado. El anfitrión vino a nuestro encuentro para hacer el check in y fue muy amable, hasta nos dejó hacer el check out un poco más tarde. Muy recomendable. Прекрасное месторасположение. 2 минуты ходьбы от метро и супермаркета. В центре города. В квартире есть все необходимое. Чисто и комфортно. В соотношении цена качество - превосходная квартира: уютно, чисто, комфортно. В квартире есть ТВ, радио, тостер (кому надо), гейзерная кофеварка. Отличное месторасположение - до старого города 15 минут ходьбы. Также совсем рядом два магазина Spar, один буквально за углом, второй чуть дальше. В общем, отличный бюджетный вариант. Особая благодарность владельцу: мы из аэропорта промахнулись несколькими станциями и заехали не туда, пришлось брать такси. Хозяин квартиры вычел из стоимости эту сумму. На кухне есть все необходимое. Интернет работает. Метро и трамвай рядом. Тихо. Центральное отопление и горячая вода. 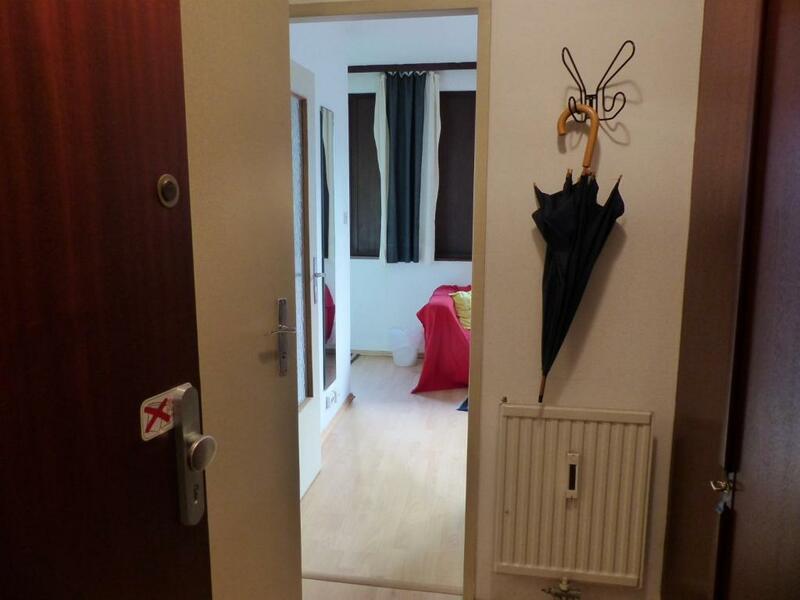 Lock in a great price for Apartment Danhauser – rated 9.3 by recent guests! 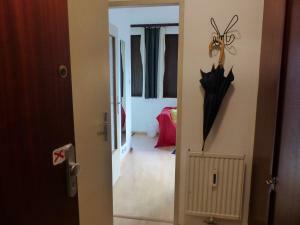 Located a 15-minute walk from the State Opera and Vienna’s Old Town Center, Apartment Danhauser offers a studio apartment with free WiFi access. The Main Train Station is 2,300 feet away. The studio apartment consists of a kitchen, a combined living and sleeping room with 2 single beds, a sofa and flat-screen cable TV, and a bathroom with shower, toilet and hairdryer. Towels and linen are provided. 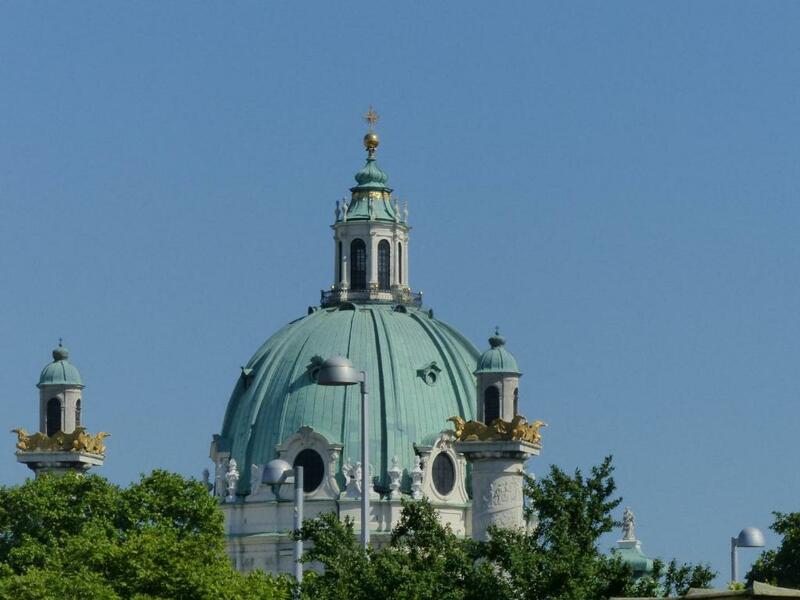 The closest restaurant and a supermarket are within 350 feet of the Danhauser Apartment, and the Taubstummengasse Underground Station (line U1) is a 5-minute walk away. When would you like to stay at Apartment Danhauser? House Rules Apartment Danhauser takes special requests – add in the next step! Please inform Apartment Danhauser of your expected arrival time in advance. You can use the Special Requests box when booking, or contact the property directly using the contact details in your confirmation. 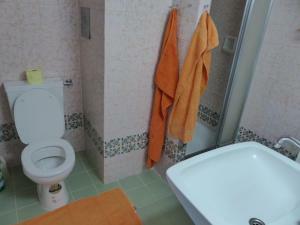 The studio apartment is quite small, and the bathroom is very dated. The mattresses are very soft. 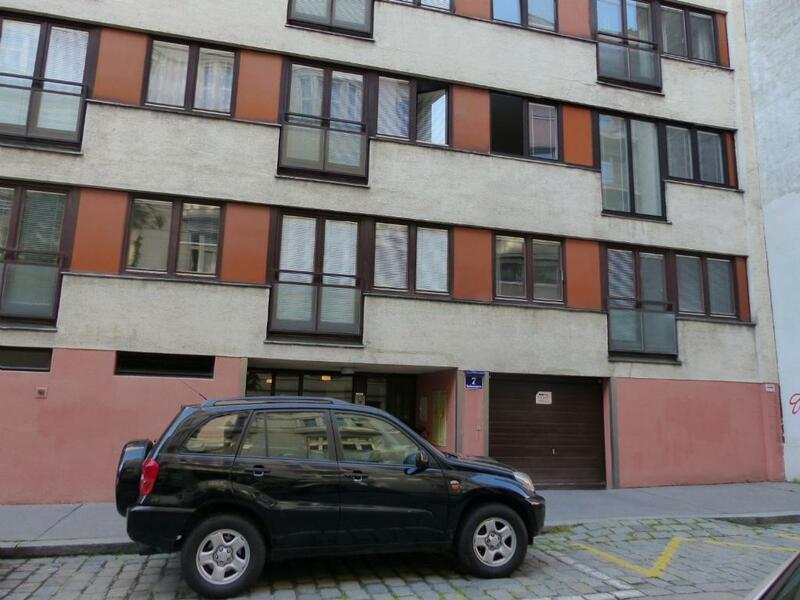 The recommended parking garage is a fifteen minute walk from the apartment, and ten dollars per day. The washing machine in the basement is coin operated and was too complicated for me to risk doing a wash. Could use a few more dishes. We had no issues with the property at all. It was great. 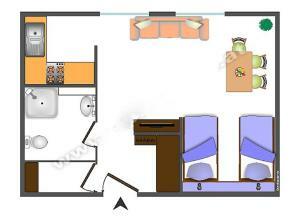 For us, a double bed would have been appreciated instead of the twin beds but it wasn't a deal killer.